As President and Administrator, Betty Davis established Community Concepts in 1990 and Community Options in 1993, with her son's and daughter’s active involvement from day one. She now serves as Chairman of the Board as the second generation of Davis’ have stepped up as Administrator, Vice President and President of their growing agencies. 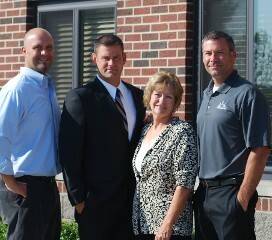 The Davis family is pictured here outside the administration building in Mason, Ohio, (left to right): Wayne, Administrator; Brad, Vice President; Betty, Chairman of the Board; Marc, President. “In 1946, doctors told my parents that my sister, Karen, would not progress developmentally. They said she might never walk, talk, or use the bathroom on her own. Unwilling to accept such a bleak future for her, our parents, Betty and Earl Kessell, enlisted the help of other parents and teachers to help Karen rise to a remarkably high level. Like my parents, I wanted my sister to have the opportunity to lead as independent and self-directed a life as possible. I hoped to help Karen gain independence, so I educated myself by pursuing degrees in special education, social psychology, and law. After law school, I went to Columbus, Ohio, to advocate for Karen and others who were on long waiting lists for residential services throughout the state. In 1994, after Karen had been on the waiting list for 22 years, we were finally granted the opportunity to build and operate 8 ICF/IDD family homes in three counties. 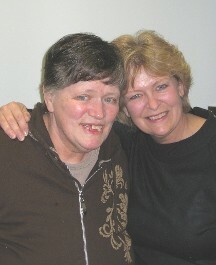 Karen has lived in her Concepts home with 7 other ladies ever since. It is their home, not ours. My four children, now adults, maintain an active role in both of our corporations, Community Concepts, Inc. and Community Options, Inc.
For nearly 25 years, dynamic leadership has been the key to our success. The diversity of our directors compliment one another and encompass a wide range of expertise. Today our administrative team represents over 200 years of combined experience. Together our extensive knowledge in local, State and Federal rules and regulations ensures impeccable adherence on all levels. Contact us anytime you have a question about either of our agencies or simply need help or advice navigating the services available to individuals.